Do you want to install new blinds in your home? Perhaps you’re tired of your boring, drab window blinds—but what will the cost be to install new ones? As with any home project, cost is an important factor for many homeowners when it comes to blind installation. So, how much do blinds cost? The overall cost of your project will depend on a few factors, two main ones being the material and the number (and size) of windows you need blinds for—but we can give you a general idea. According to HomeAdvisor, the national average cost of blind installation (based on more than 1,200 cost profiles) is $668. The majority of homeowners spent between $226 and $1,116. Remember, this is just a general example and may not necessarily be accurate for your specific project. 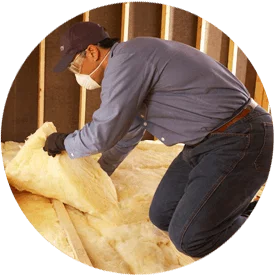 If you’d like to get an estimate for your Boise area home, the team at Big City Insulation of Idaho is happy to talk to you. Keep in mind project specifics as well. For example, wood window coverings can be more expensive—and the number of windows included, of course, will also affect the overall cost of blinds. We offer high-quality, low-maintenance faux wood window blinds and plantation shutters from A Better Blind. Our team works with builders, contractors and homeowners on both residential new construction and replacement (retrofit) projects. Get in touch with us today for a free estimate on your Boise blinds project!